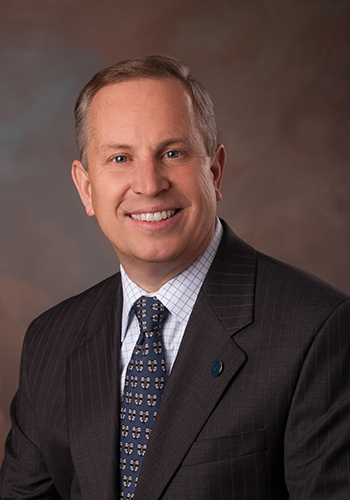 After announcing his departure to students and faculty back in October, President Steven DiSalvo will begin a new role this summer as Endicott College’s seventh president. Endicott is a private college in Beverly, MA offering undergraduate, graduate, and professional programs. It is a relatively large institution compared to Saint Anselm due to the extensive degree programs, totaling more than 5,000 students. However, the undergraduate enrollment is slightly more modest, capping around 2,970 students, while Saint Anselm tops at 2,041. Endicott had been going through its own presidential search after past president Richard “Doc” Wylie passed away last year just before the college’s commencement ceremonies. Wylie had been Endicott’s president since 1987 and transformed the school from a two-year women’s college to a co-educational institution offering doctoral programs. Kathleen H. Barnes, Endicott’s senior vice president and academic dean, served as interim president following Wylie’s death. In an interview with the Boston Globe, DiSalvo said he hopes to expand student recruitment efforts, increase campus diversity, and double the college’s $92 million endowment. All three of these areas were the highlights of DiSalvo’s mission at Saint Anselm, which he indeed achieved. Endicott has already listed these accomplishments on their website, including Saint Anselm’s 90% increase in endowment, 2000+ students enrolled in the 2018-19 school year, and a 91% first-year retention rate. During his tenure, DiSalvo also hired Dr. Ande Diaz, the college’s first Chief Diversity Officer. He said he has talked to Endicott board members about hiring a chief diversity officer after his arrival. Endicott is 83% white, compared to Saint Anselm’s 86.7%. Budget cuts aside, Ann Cantino, Saint Anselm’s Chair of the Board of Trustees, has called DiSalvo’s tenure “remarkable” at ensuring the well-being of the college today and in the future. DiSalvo has been President of the College since 2013, after succeeding Father Jonathan DeFelice, OSB. Before Saint Anselm, DiSalvo served as 14th president of Wisconsin’s Marian University. DiSalvo will depart from his position as Saint Anselm’s president June 30, and transition into his presidency at Endicott July 1.